SAM 26 Series Fan Filter Units are ideal for supplying clean air to workstations, equipment or for special size ceiling spaces. 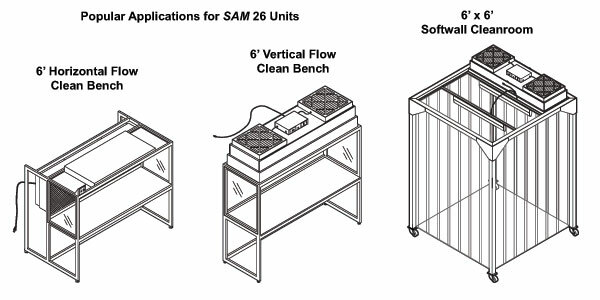 SAM 26 series units include a 99.99% efficient HEPA filter, prefilter, seismic clip suspension points and solid state variable speed control with RFI suppression. Housings are fabricated from 20 gauge steel with white powdercoat finish. SAM 26 units are equipped with two (2) N310 low watt backward curved impeller, 60 hz, single phase, permanent split capacitor type motor blower assemblies with thermal overload protection. Standard voltages are 115 volt (60 hz), 208-230 volt (50/60 hz) and 277 volt (60 hz). Final filters are protected with a white epoxy diamond grille and are tested according to accepted procedures as described by the Institute of Environmental Sciences (IEST) and/or ISO standards. SAM 26 Series CRF units feature a polystyrene eggcrate grille in an anodized aluminum frame hinged to open, permitting removal of the HEPA or ULPA filter without removing the unit from the ceiling. 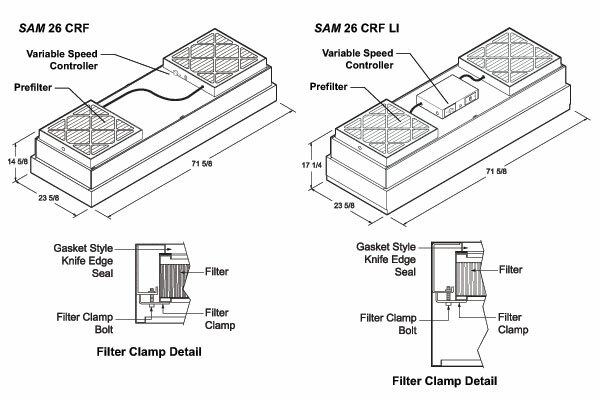 SAM 26 CRF LI units feature an integral 2-lamp high output light fixture located inside the filter housing below the final HEPA filter. The lights are automatically on when the unit is operating and the ballast is located on top of the unit for easy change out. An acrylic eggcrate grille in an anodized aluminum frame is hinged to open, permitting removal of the HEPA or ULPA filter and fluorescent lamp tubes. Additional options and accessories are shown in the back of this section. 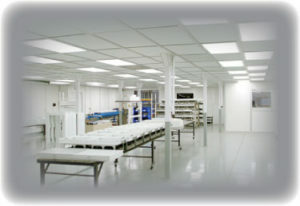 Consult with one of our cleanroom experts in your area, or call the factory for more information. CRF-Style Filter Data: The HEPA Filter is designed for 90 FPM average face velocity @ initial 0.47 w.g. 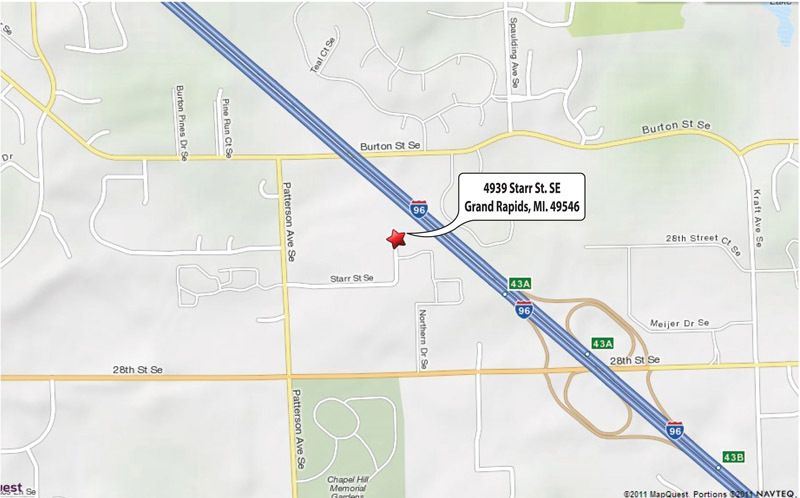 and has a rated efficiency of 99.99% @ 0.3 micron or larger. Final filters can be replaced by removing unit from ceiling or workstation, placing on a bench, removing and replacing the filter and re-installing complete unit.